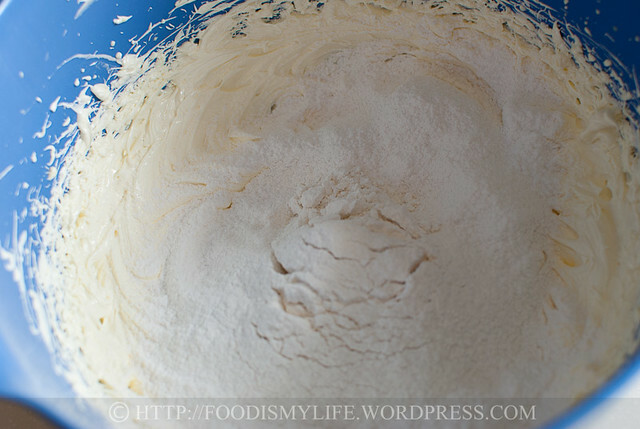 Start off with mixing some flour and corn flour together. Cream a good-quality unsalted butter with some icing sugar. Light and fluffy is how we want it! 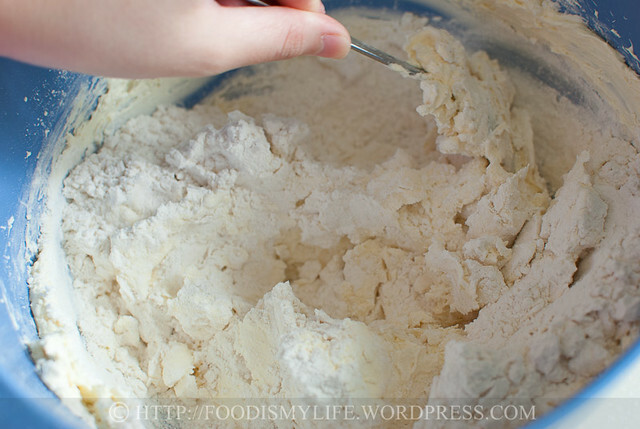 Sift in half of the flour. Sift in the rest of the flour. Until you get a smooth batter. Transfer the cookie batter into a piping bag fitted with a star nozzle. 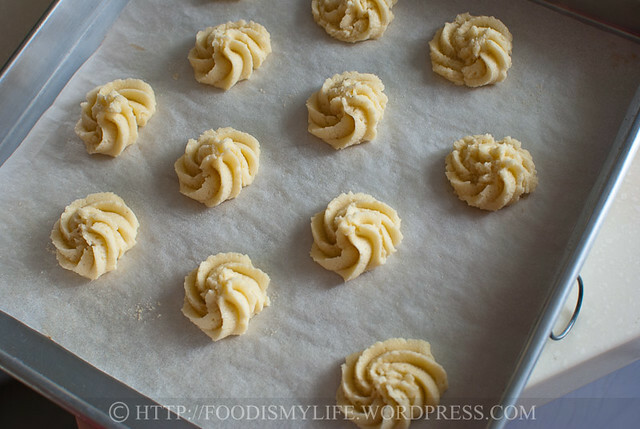 Pipe rosettes onto baking sheets. Bake until they are lightly golden and cool completely before sandwiching them with desired filling. Heat the cream in a pot until small bubbles start to appear on the sides (simmering stage). Pour the cream over the chopped chocolate and let it sit for 2 minutes. Stir until all the chocolate has melted. Let it sit aside for 30 minutes until the ganache has thickened. 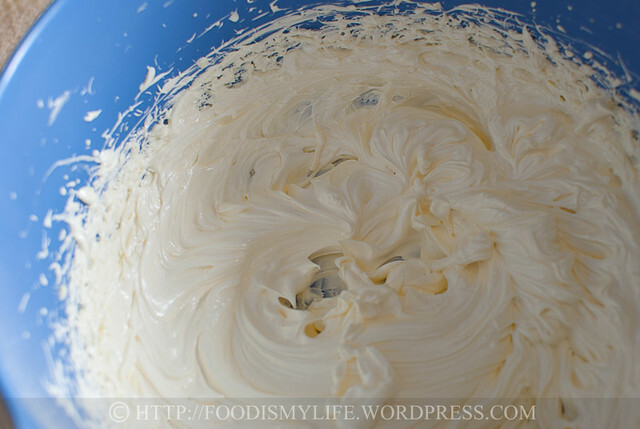 Alternatively, heat the cream in a microwave for 30 seconds on medium high. Add in the chocolate and microwave at 15 seconds interval, checking the mixture and stirring it at each interval until all the chocolate has melted. Let it sit aside for 30 minutes until the ganache has thickened. Preheat the oven to 175 degrees Celsius. 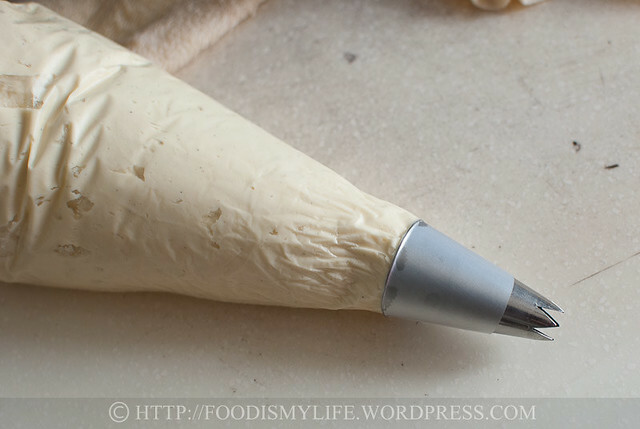 Line several baking sheets with baking paper and fit a piping bag with a star nozzle. Set them aside. 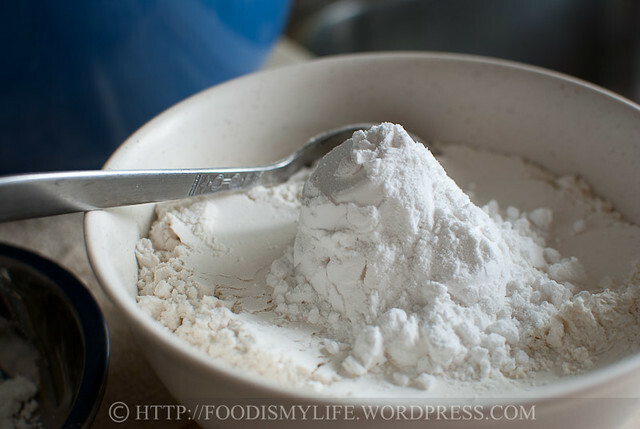 In a small bowl, combine the plain flour and corn flour. Set aside. 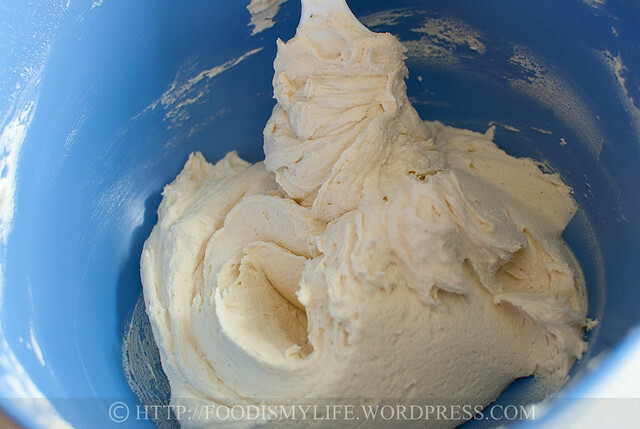 In a large mixing bowl, cream the butter and icing sugar using a hand-held electric mixer until light and fluffy, about 5-7 minutes on high speed. Beat in the vanilla extract until mixed in, 30 seconds on medium speed. 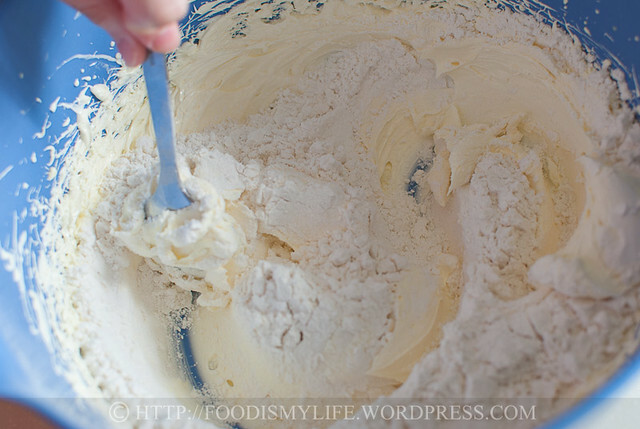 Sift in ½ of the flour mixture into the batter and fold it in with a rubber spatula or a large metal spoon. 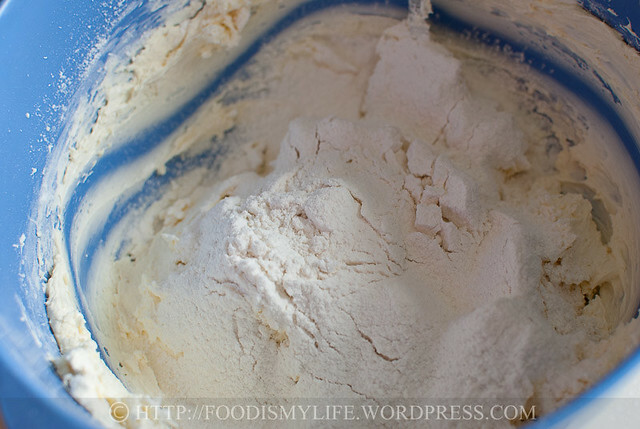 Sift in the remaining flour mixture and fold it in. 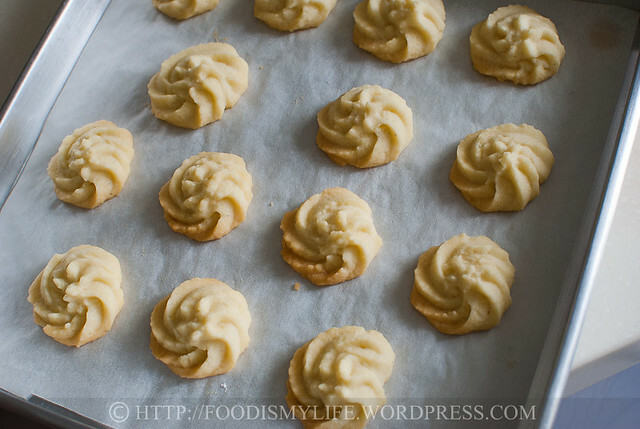 Transfer the cookie batter into the piping bag and pipe rosettes onto the baking sheets. Bake the cookies for 10 - 12 minutes until the bottom of the cookies have turned golden brown. They will be very delicate and crumbly. Let the cookies cool completely before moving them. Pair the cookies up. Spread a little of the chocolate ganache on one cookie half and press the other down gently until the ganache peeks out at the sides. Store in an air-tight container for one week in the refrigerator. Bring it up to room temperature for 15 minutes before serving. Replace the filling with Nutella for a nutty treat! 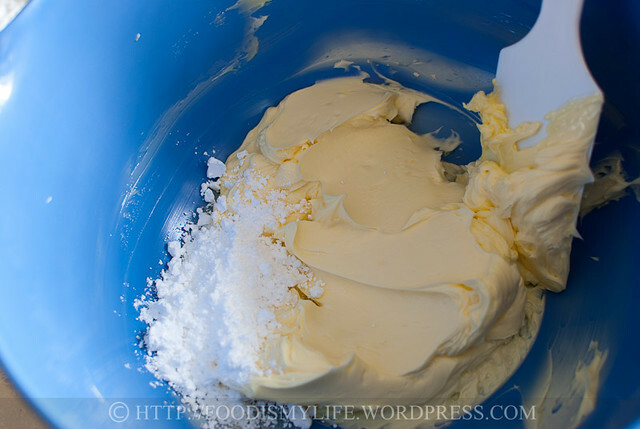 Use a very good quality butter for the cookies as it’ll make a difference in the taste. This is the original amount of icing sugar stated in the recipe book (and also what I used last time), I find that the cookies are too sweet, so I’ll probably reduce it to 30-40 grams the next time. What size star piping tip did you use? This looks like an easy batter to use. Thanks. 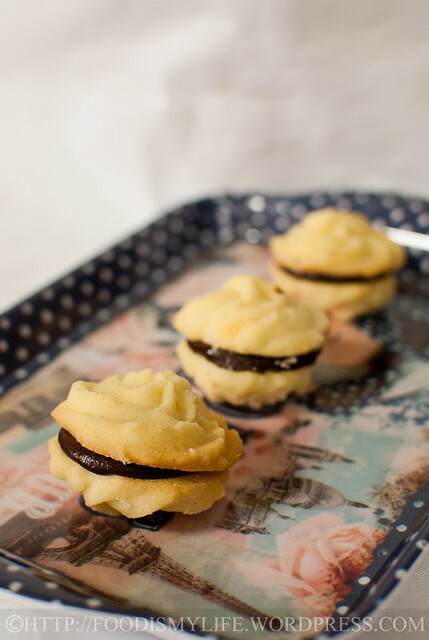 I love melting moments they are one of my favourites and early bakes – these look perfectly piped and very moreish – its a shame that all good food has so many calories – since starting baking I am begining to add on the pounds! just got to tell you that you have piped them so beautifully..they still stay in pretty shape after baking! I love these cookies. i remember making them when I was in sixth grade- my first attempt at baking and my brother was so happy with me for baking these! These has brought back some memories. Yours look gorgeous. I doubt mine were ever that pretty! These cookies are so very dainty and the best high tea accompaniment I have seen so far. They are gorgeous! Would love to have one now with my cup of tea! Butter cookies are the boss!! With jam, with chocolate, plain! They look so lovely Jasline! I love these cookies too Raymund, glad you like them! Thank you for the compliments Sibella! Thank you for the compliments, Marnelli! Thank you Uru! Hope you can bake them one day! Thank you for the compliments, Jamie! I’ll be looking forward to your vegan cookies! u piped them absolutely well.. =) am sure your friends had a good time finishing them up! Lovely cookies! My kids would love me more if I make these for them! Hehehe! These sound delicious and look great because you took the time to pipe them. Well done! 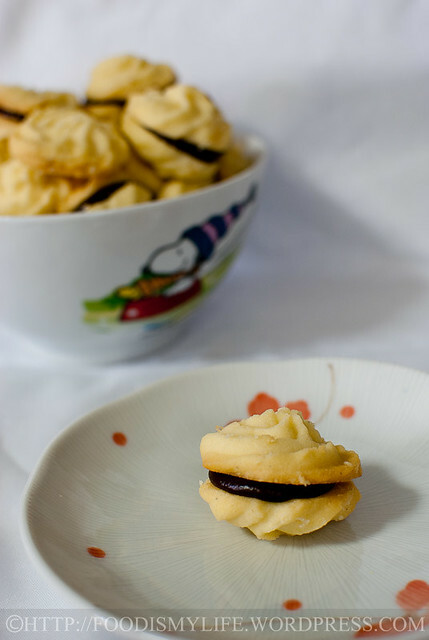 Gorgeous, your step by step directions are perfection and the cookies are wonderful. Saving this recipe!